BlackRock, Inc. has increased its position in Bed Bath & Beyond Inc. (NASDAQ:BBBY) to 5.1% of the company. BlackRock, Inc. now holds 10.9 million shares of the company. The stock currently trades at $65.09, and lost nearly 19% so far in 2014. BlackRock reported a position of 0.42 million shares of the company in the last reported quarter of 2013. This means that BlackRock purchased about 10.5 million shares at around $75. There are other hedge fund managers who’ve been bullish about Bed Bath & Beyond Inc. (NASDAQ:BBBY). Chuck Royce’s Royce & Associates has the most shares of the Bed Bath & Beyond Inc. (NASDAQ:BBBY) among the hedge funds we track. He kept his position same throughout 2013, and owns 2.3 million shares of the firm. Jim Simons’ Renaissance Technologies owns the second largest chunk of the shares. The fund owns 1.07 million shares of the company, and acquired all of them in the third quarter of 2013. The company has experienced 0.3 million insider sales in the last quarter of 2013. On the other hand, there have not been any insider purchases in 2013. BlackRock, Inc. was established in 1988 with 8 employees. The firm praises itself in quality research that fits into clients’ tailored needs. In 1999, BlackRock went public and listed on the New York Stock Exchange. BlackRock Inc acquired Merrill Lynch Investment Managers in 2006 and Barclays Global Investors in 2009. In 2011, BlackRock was hired by Bank of Greece to advise Greek banking system. Laurence D. Fink serves as the CEO of the firm. 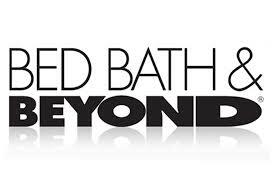 Bed Bath & Beyond Inc. (NASDAQ:BBBY) was established in 1971 and is headquartered in Union, New Jersey. The firm operates a chain of retail stores and sells domestic merchandise. The firm’s range of products cover bed linens, bath items, furniture, basic housewares and consumables. The firm operates stores under the names of Bed Bath & Beyond Inc. (NASDAQ:BBBY), Christmas Tree Shops or and That! (CTS), Harmon or Harmon Face Values (Harmon), buybuy BABY, and World Market or Cost Plus World Market (World Market).